SUDBURY, Ont. 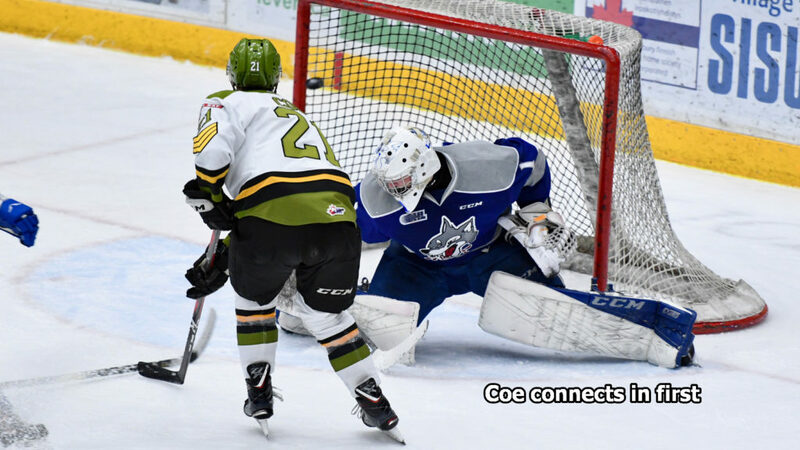 — Isaak Phillips scored two goals to lead the Sudbury Wolves to a 5-2 victory Wednesday night over the North Bay Battalion, extending the Wolves’ Ontario Hockey League winning streak to nine games. Adam Ruzicka and Shane Bulitka each had one goal and one assist and Macauley Carson also scored for Sudbury, which improved its won-lost-extended record to 34-16-3 for 71 points and climbed into a tie with the Niagara IceDogs for first place in the Central Division. Sudbury, Niagara and the East Division’s Oshawa Generals are tied for second place in the Eastern Conference. Goaltender Ukko-Pekka Luukkonen made 34 saves before 1,975 at the Sudbury Community Arena, where the Wolves last tasted defeat Jan. 20 in a 7-4 setback to the Sault Ste. Marie Greyhounds. Brad Chenier and Brandon Coe scored for North Bay, which had been shut out in its two most recent meetings with Sudbury. Goaltender Christian Propp faced 42 shots for the Battalion, 24-25-4 for 52 points, fourth in the Central and eighth in the conference. Coach Stan Butler returned to the Battalion bench after serving a one-game suspension for verbal interaction with a referee. The Battalion, down two goals but on the power play to start the third period, failed to capitalize on the penalty to Cole Candella for closing his hand on the puck late in the middle frame and couldn’t get closer. Bulitka iced the decision with his 16th goal of the season at 17:33 on a pass off the right wing from Ruzicka on a rush. Owen Robinson also assisted as Bulitka beat Propp high to the blocker side. The sometimes chippy affair produced a melee at 14:37, but the lone penalty assessed was an unsportsmanlike conduct call against Sudbury’s Blake Murray. The only fight occurred midway in the first frame, when the Battalion’s Mason Primeau tangled with Drake Pilon. Each received a major, and Primeau was handed a slashing minor. 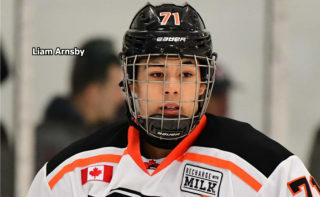 Sudbury trailed 2-1 after 20 minutes before Phillips tied it at 1:45 of the second period with the teams skating four a side. Murray and Candella assisted on defenceman Phillips’s third goal. 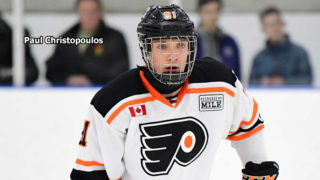 Carson knocked a rebound past Propp from traffic in front of the net for what proved to be the winning goal at 11:57, just seven seconds after the expiration of a high-sticking penalty to Chenier, and Ruzicka netted his 21st goal of the season and his 10th since a trade from the Sarnia Sting at 14:31 to give Sudbury a 4-2 lead. Phillips opened the scoring at 13:57 of the first period, converting from the left circle on assists by Quinton Byfield and Owen Gilhula. Chenier, assisted by Nick King, responded with his 24th goal 28 seconds later, darting to the net and shoveling the puck home. Chenier’s goal ended a Sudbury shutout streak against the Troops of 138:22, dating to Matthew Struthers’s tally at 16:03 of the third period of a 5-2 Battalion win Dec. 31 at North Bay. Luukkonen blanked the Troops 5-0 at Sudbury on Jan. 16 and 7-0 at Memorial Gardens on Jan. 24. Coe struck at 16:15, taking a King pass to break free down the right wing past Phillips and backhand the puck just inside the far post. King, who had assists on the last three goals in a 5-4 overtime win last Thursday night over the visiting Flint Firebirds, assisted on a fifth consecutive Battalion goal. The Battalion plays host to Sault Ste. Marie at 7 p.m. Thursday on Subway Night, featuring the Subway Kiss Cam on Valentine’s Day. BATTALION BULLETS: The Battalion, 2-5-0 against Sudbury, is guaranteed its second losing season against the Wolves in the 21-year rivalry. 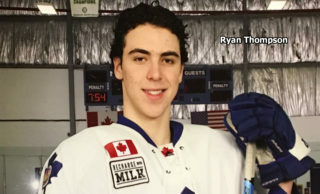 The first came in 2009-10, when the Brampton-based Troops were 2-4-2. 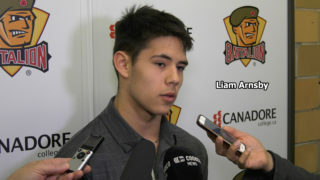 The teams complete their season series March 3 at North Bay … Justin Brazeau, the Battalion’s leading scorer with 48 goals and 41 assists for 89 points in 53 games, saw the end of a five-game points streak in which he scored six goals and earned five assists for 11 points … Butler was suspended for interaction with referee Dan Ransom after a 5-4 overtime loss at home Feb. 3 to Sarnia. 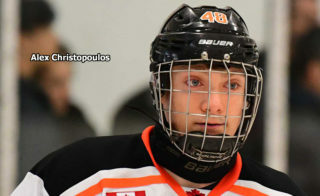 The Troops led 4-2 late before phantom penalties against Harrison Caines and Luke Moncada. Sarnia scored on the two-man advantage before tying the game at even strength to precipitate overtime … The Battalion went 0-for-4 on the power play. 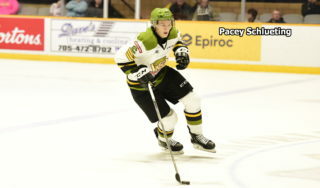 Sudbury was 0-for-5 … Patrick Brown, a resident of Midland, Ont., played his 100th game with the Battalion since being picked in the seventh round of the 2016 OHL Priority Selection from the North Central Predators minor midgets … North Bay was without Travis Mailhot, Daniel Walker and Kurtis Evans … Candella marked his 21st birthday … Ruzicka has a nine-game points streak in which he has six goals and seven assists for 13 points … Sudbury scratched Peter Stratis and David Levin … The referees were Ryan Harrison and Mike Marley.